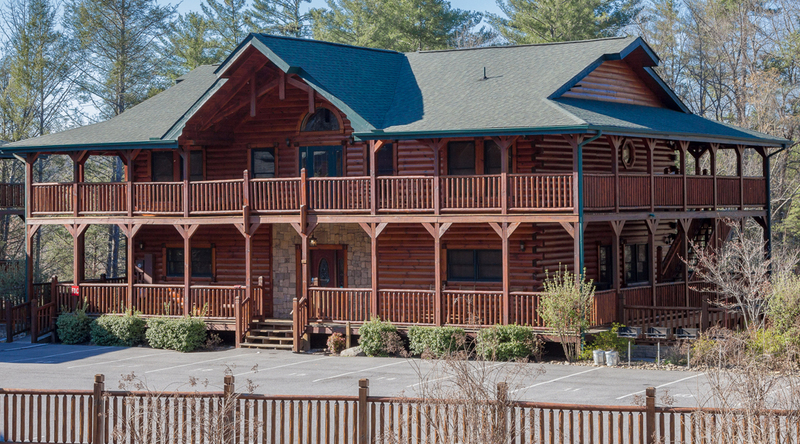 Relax and unwind in one of our log cabins while visiting the Great Smoky Mountain National Park and experiencing all the excitement of Gatlinburg and Pigeon Forge, TN. 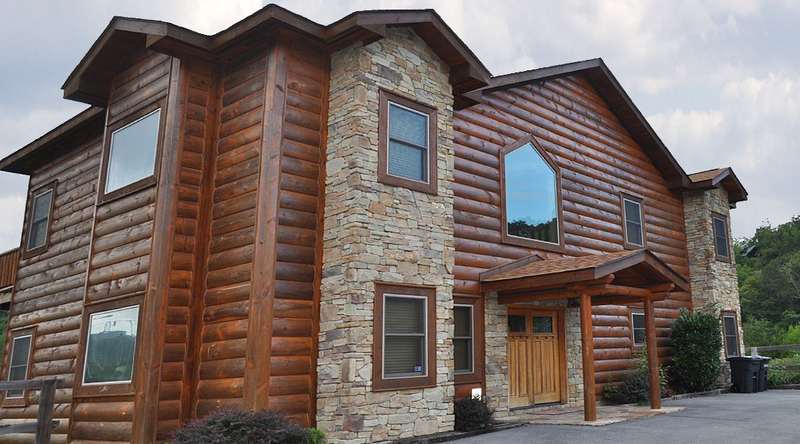 Escape the ordinary and disappointing multiple room hotel experience, and bring family and friends to one of our large luxury cabins, and enjoy spending time together under one roof! As a family owned and operated business, we meticulously maintain our cabins, listen and react to your concerns and needs, and offer amenities that the competition does not. You’ll be delighted by your experience and our attention, and we hope to have you stay again and again. 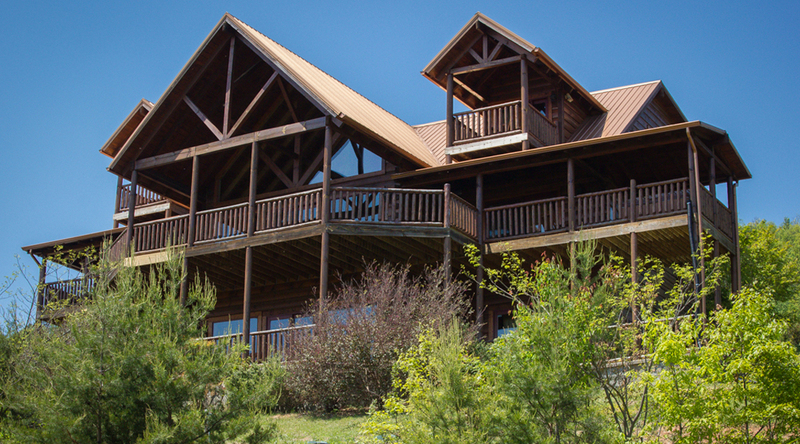 Escape the ordinary with one of our large luxury cabins. This house was perfect for our annual Super Bowl weekend trip - this was our second time in this house and our third time with these owners. Our group of 17 adults and 6 children had plenty of space. I was a bit concerned about the noise level when I learned all of the carpet had been removed from the bedrooms since our stay last year but I worried for nothing....couldn't tell the difference and the hardwood floors are beautiful. This house has one of the best equipped kitchens of any I have ever stayed in. And we made full use of the kitchen, cooking almost all of our meals. I love that every bedroom has it's own bath with an additional half-bath on the main floor. The beds and the sofas are extremely comfortable. With TVs in every room (2 in the living room), everyone was able to watch what they wanted (and we didn't miss a minute of the Super Bowl). The location is so convenient to downtown as well as restaurants and shopping. We can't wait for next year.....we will definitely be back! We celebrated our parents 80th birthdays there with our entire family of 27 total. We also invited other family members to come by on Saturday for a birthday party and still had room for everyone. The cabin is very well stocked for large groups and was very clean when we checked in. Everyone enjoyed the game room and we woke up to a beautiful snow falling the morning we checked out. It is not far from downtown Gatlinburg if you want to do some shopping or sightseeing. Perfect for a large family! 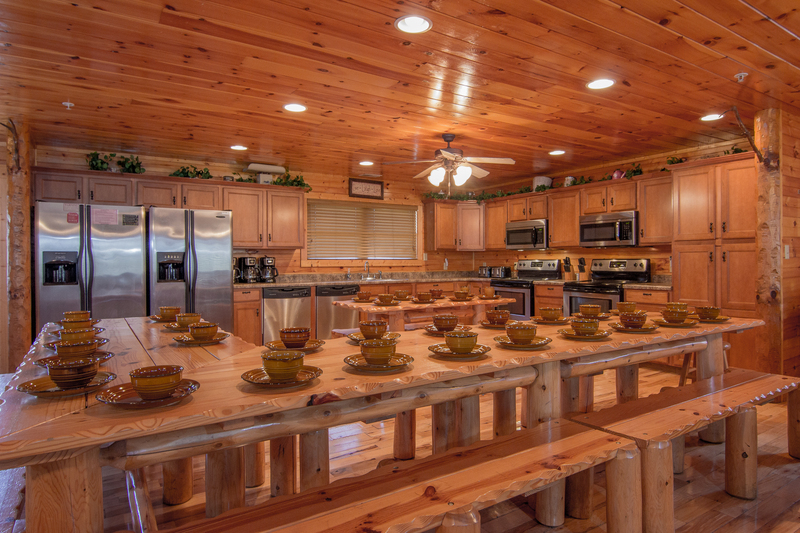 The cabin was so clean, and the kitchen was complete with everything needed to cook large meals. We will be back again. Thanks!!! My book club, a total of 15 women, stayed here from Friday evening to Monday morning. We had plenty of room, TV's, DVD players, game room, board games, and beautiful & comfortable furniture. Every description on the owner's site is 100% spot on. Once the balance was paid in full, we received our instructions...this also included information about a local grocery store that made deliveries. We took a chance and ordered a tray of wraps and sandwiches. They were there when we arrived. From the moment we walked in to the moment we left, we absolutely loved this cabin. We loved it so much, we are already talking about booking it again for next year. The owner's need to be really proud of themselves. Beautiful cabin! Perfect for our youth group. We absolutely loved it! Only suggestion is to add some kind of latch to the front door to keep toddlers inside.They kept escaping lol! Not a big deal at all just a suggestion. We will be back! For the second year in a row our family has chosen to stay at this Beautiful mountain cabin. We have 12 adults and 3 children and we never feel crowded. I guess you could say it's starting to feel like home. We have a young man in our group who is 12 with Duchenne Muscular Dystrophy and because of the elevator he had access to everything in the house. Thank you for this feature that many cabins do not have! Beautiful cabin and well taken care of! THANK YOU! This was a wonderful home with great views! The kitchen was fully stocked with everything you could need. Everything was nicely kept! It was perfect for a big group with kids of all ages! The rooms are spacious and each bathroom was so comfortable! Everything was beautiful and looked wonderful. The VIEW!! The cabin is new and everything was so fun! We made some great memories. I would definitely stay again!! Our family stayed over Thanksgiving and we were all impressed by the view from this house. 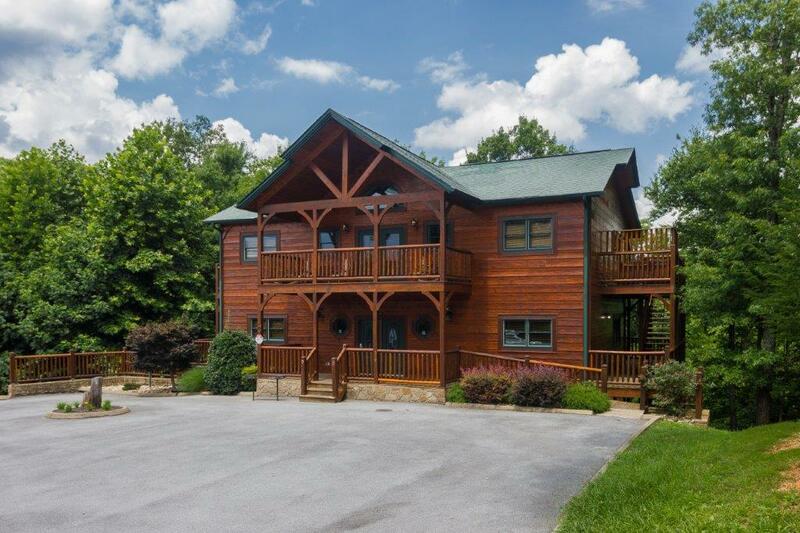 The location is ideal providing fast access to the park, downtown Gatlinburg, or the Pigeon Forge strip. The house has been recently updated and is in good condition for a rental. The kitchen is well stocked and has everything you would need to cook. There is ample flatware, dishes, coffee cups, etc. to accommodate large groups. 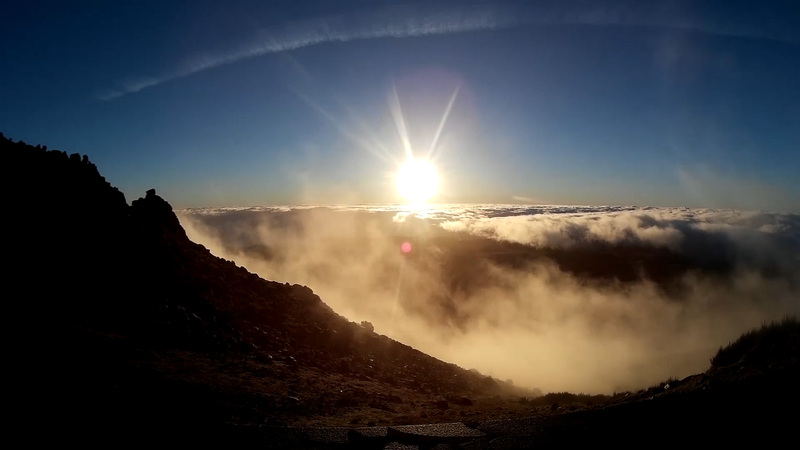 The back decks are very spacious and are a wonderful place to watch the sunrise over the mountains. There is also ample parking which is uncommon for houses in the mountains. We had 4 vehicles and no problem. Absolutely loved this place. Beautiful scenery. The decor was amazing. Everything you needed was at the house. Close to town. Absolutely perfect in every way. We enjoyed the cabin. It was very roomy for our large family. The location is great. Right in the middle of Pigeon Forge and Gatlinburg. Beautiful place! 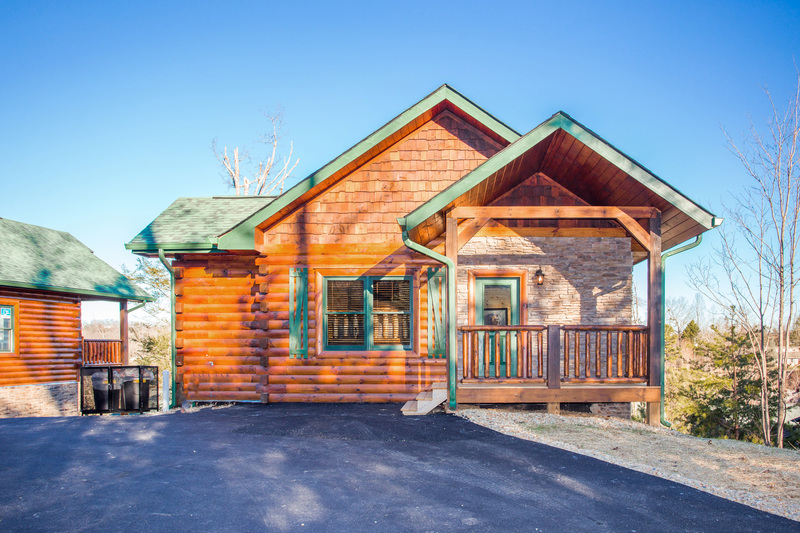 This cabin is in an ideal location and perfect for a group of friends or a large family. Movie room is our favorite! Came for a graduation trip and everything was perfect! Cabin was in excellent condition . Instructions on how to enter was clear and concise. Stayed 4 days without any issues whatsoever. I would recommend any to stay at the cabin. The owner of the cabin was very nice and handled all of our needs. Definitely will come back again! Lovely home with a great view. 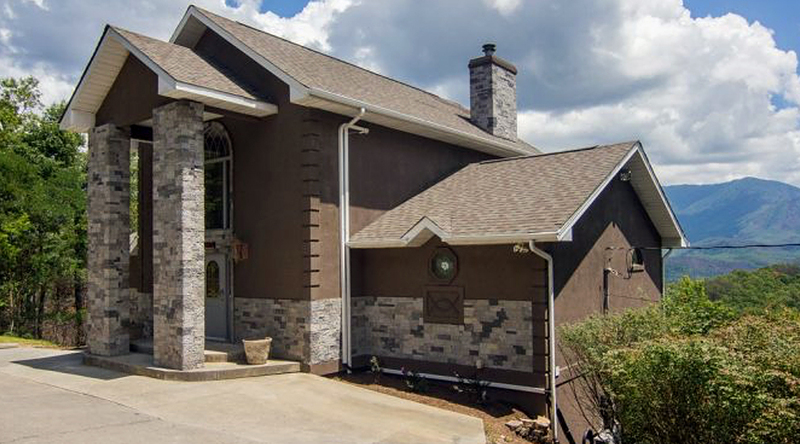 Very conveniently located in between Pigeon Forge and Gatlinburg. Everything was great. Very functional, fun place to stay. Very close to both Pigeon Forge and Gatlinburg. We enjoyed the modern convenience along with the stay on top of a mountain. © 2018 Black Bear Vacations. All Rights Reserved.